Porto is a magical and charming city deserving on a spot on every Portugal itinerary. Even JK Rowling was inspired for pieces of her Harry Potter novels. 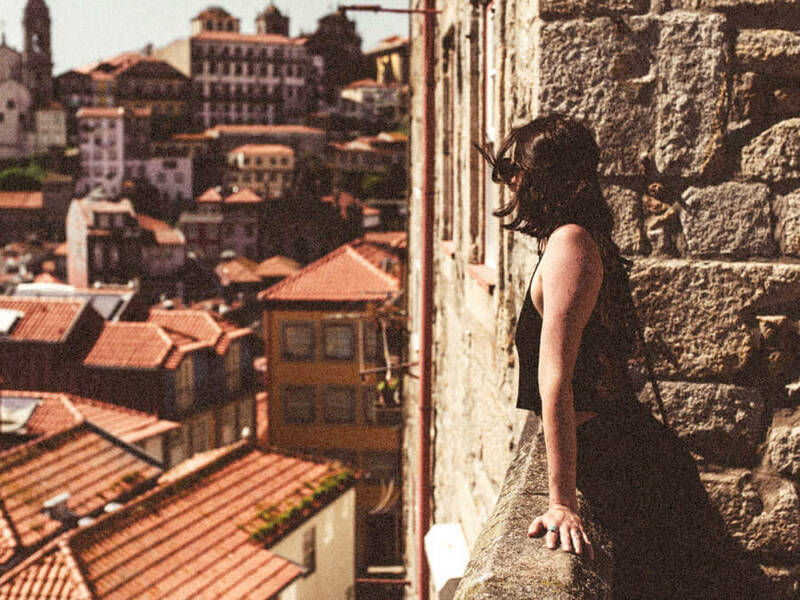 Get ready to stay a little while because this city will sweep you off your feet and these Porto hostels and Porto hotels ranging from budget to luxury will pull you in to stay a little longer. 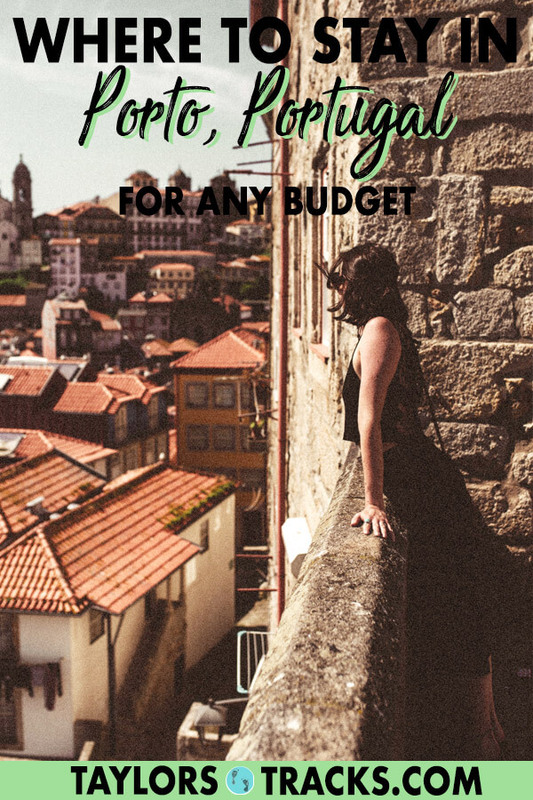 Places to stay in Porto are abundant but this Porto accommodation guide will help you find where to stay in Porto for any budget and still be close to the action and main city sites. Ribeira is the area right along the waterfront of the Douro River. Most of the city’s action will take place here and there are an adundance of shops and restaurants, plus some of the best views in the city. The downsides are that this area will be louder and prices will be higher as most people want to stay here. It doesn’t get more central than São Bento. This area is slightly uphill from the Ribeira area and though you won’t have views of the river, you will still be close to plenty of Porto’s attractions. The most central (and most beautiful) metro station is of the same name and will be able to take you to anywhere in the city easily. If you prefer to get your exercise in by walking when travelling then Batalha is a great option. Many major sites and areas are within walking distance and staying just a bit further from the water’s edge will have you moving around more. Do not fear dear reader, there are still plenty of transit options close by. From Batalha it’s easily walkable to Porto’s best shopping street, Rua Santa Catarina. 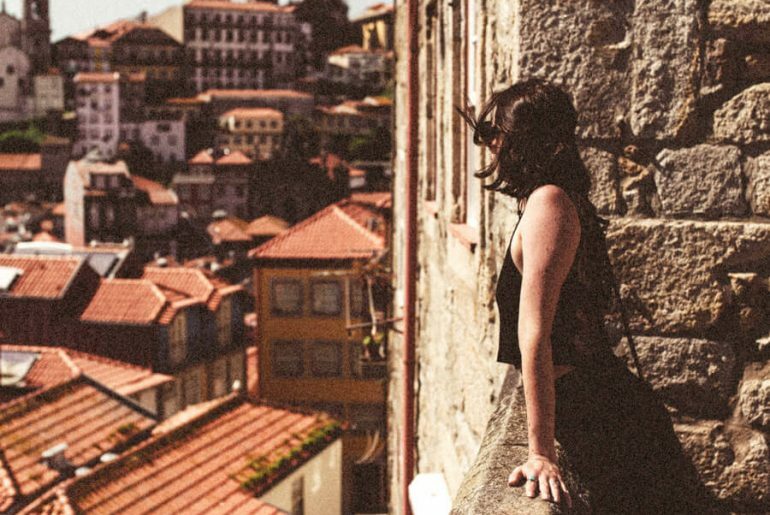 These are the best hostels in Porto. 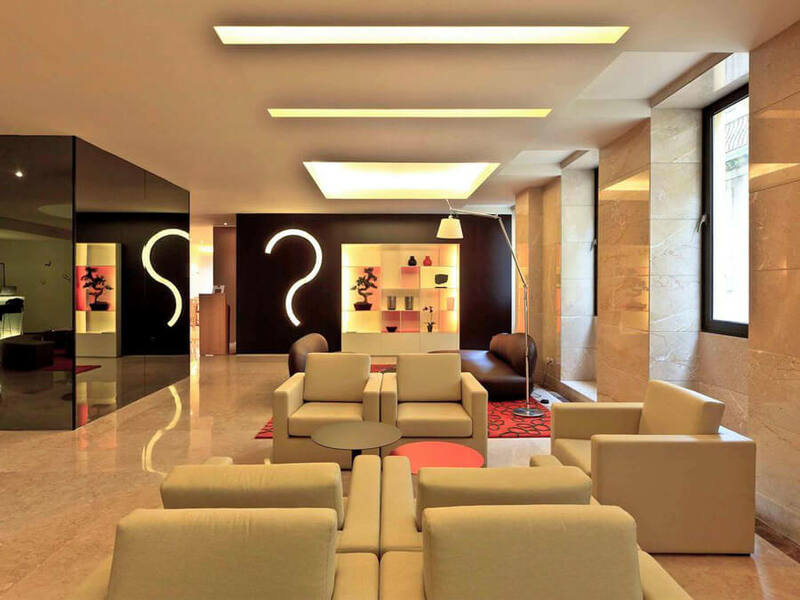 Be surprised because these are some swanky designer hostels that are bound to impress. This awesome hostel is trendy and has been designed to be one of the best hostels in the world. All of the rooms are clean and slick, there is a lounge/bar area and an outdoor terrace. The staff are very friendly and helpful who will give you tips on the city. The walking tour from the hostel is great as well and when you stay here you’ll get free goodies such as free port wine tastings and free shots at the bar every night. There is also a kitchen but the perfect location means you’ll probably be eating out every night! I personally stayed here and highly recommend! A friend recommended this hostel to me but was sold out when I tried to book and for good reason, it’s the most popular hostel in Porto. It’s prime location is down a quiet street but close to all of the main attractions and the perfect starting point for discovering the city and nightlife. Each bed has its own light and locker under the bed. All of the facilities are modern and nightly activities for guests are organized. Tattva Design Hostel is another favourite hostel in Porto. It features stylishly designed amenities and beds are equipped with private under the bed lockers and personal fans. The rooms have ensuite bathrooms and the location is another highlight of this design hostel. Guests rave about the rooftop terrace that also has a bar and they love being so close to the nightlife and main shopping streets which are only a 10-minute walk away. These are some of the best hotels in Porto that are affordable and either close to the airport or right in the historic city centre. Guests love this affordable Porto hotel because it’s close to the airport and outside of the hustle and bustle of the historic city. It’s an easy ride into the city centre with a number of restaurants and shops close by to the hotel. It offers clean and bright accommodation that is boutique style as well as free parking. This Porto hotel has charming written all over it. It’s famly run and the cozy rooms feature exposed stone walls with bright colours to make the rooms feel warm. The hotel’s location is perfect, just 5-minutes walking to some of the city’s main attractions that are right in the city centre. The price for the location is very affordable with family, private and twin bedrooms available for friends. A terrace and a good priced breakfast are also available. 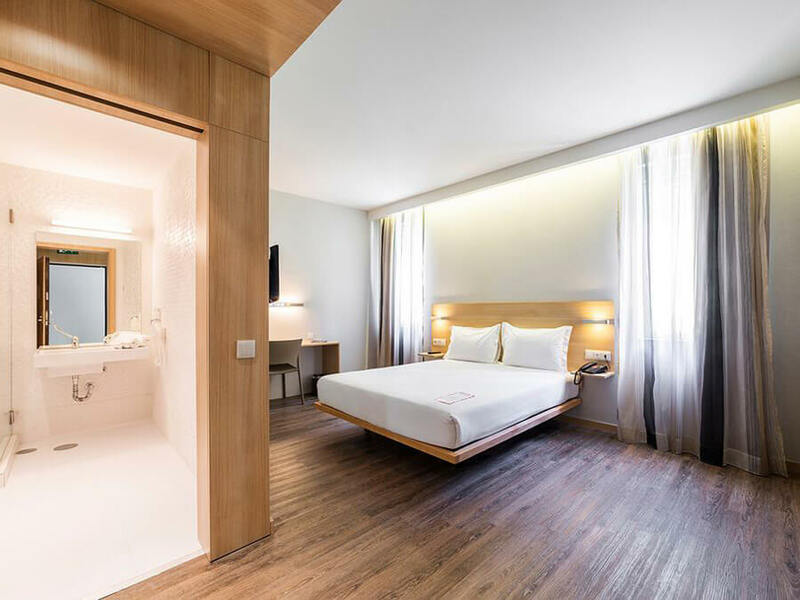 Moov Hotel Porto Centro is often sold out so look into this property quick as its stylish modern rooms will surely impress you for the price. This hotel in Porto was once an Art Deco cinema, it has now been refurbished into a trendy and bright hotel. A buffet breakfast is served daily for an extra charge and the outdoor terrace is a favourite of guests. Not quite what you’re looking for? Find more hotel options on Booking.com or Hotels.com. These Porto luxury hotels will impress you with design and the views from your room. The views don’t get better than at this swanky hotel. 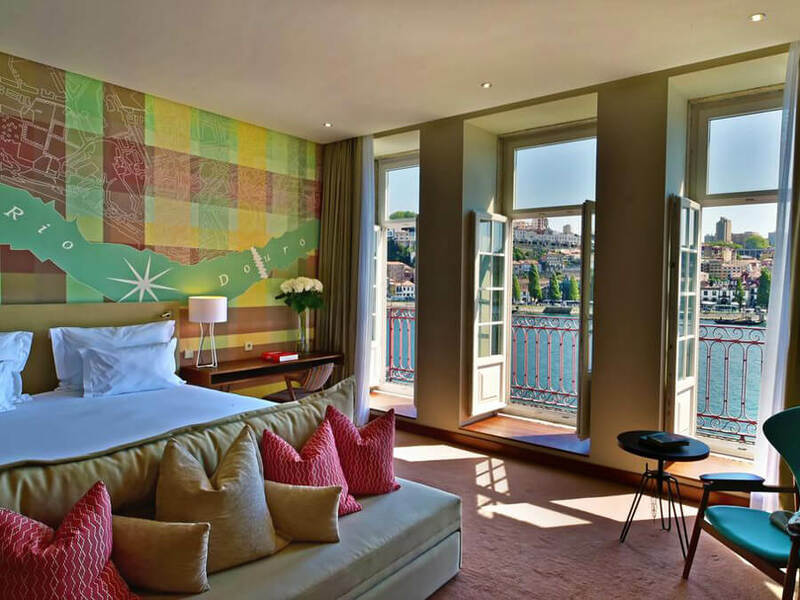 Easily one of the best places to stay in Porto and one of the few 5-star hotels in Porto, Pestano Vintage sits along Douro River which guests can see from their rooms. Each room has a large bathroom and has been restored from a 16th-century building. The hotel also sits in the historic Riveria Square. Guests can indulge at the on-site bar, restaurant and spa. Previous guests have loved the complimentary breakfast, views and better than perfect location. One of Booking.com’s best hotels, Hotel Mercure Porto Centro has an unbeatable location with a restaurant serving traditional Portuguese cuisine with views overlooking Douro River. 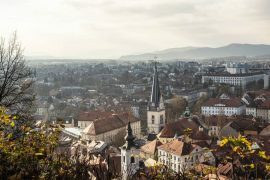 Close to the romantic Riberia District, there are lots of the city’s main attractions to explore with 10-minutes walking distance. The hotel is modern and fresh within room service available and a bar on-site. 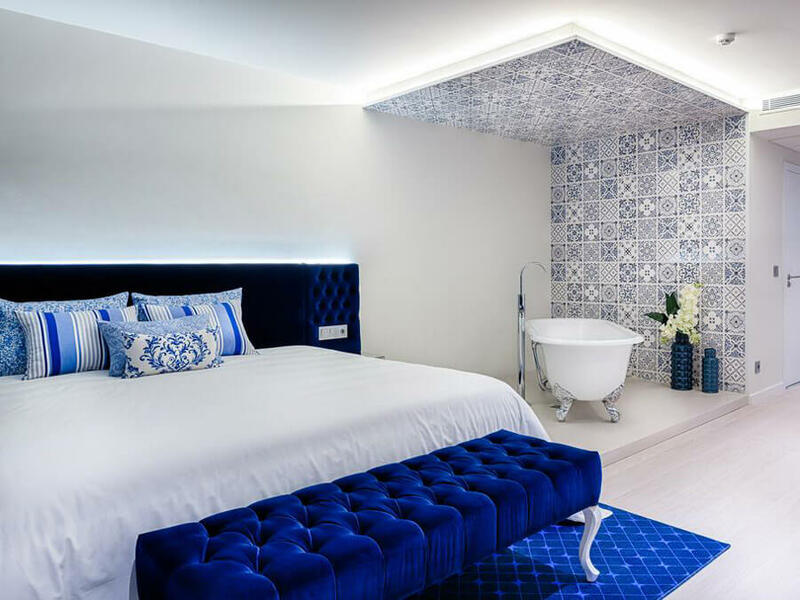 Hotel Cristal Porto just yells Porto at you in a soft and inviting way with rooms that are mostly white with the traditional Portuguese blue and white tiles as appropriate accents. Previous guests the loved quiet garden tucked away to escape from the busy city but many major attractions and a metro station are within walking distance. A restaurant, bar and room service are available with breakfast included. Find the perfect Airbnb in Porto for a more local stay in this ever so charming city. First time using Airbnb? Get $45CAD off your first stay! Without a doubt you’re going to want to stay in the Old Town while in Portugal but even better than staying in the centre is staying in the centre in style. This super cosy, funky and clean apartment delivers all of that for an affordable price. This updated 19th century buidling now houses a studio apartment that is modern, has a balcony that overlooks Porto’s backyards and is an Airbnb Plus property (meaning it’s stylish and great). Located in a UNESCO World Heritage building, this charming property has a room available in the apartment that is right in the historic city centre. The property is affordable, within walking distance of a number of attractions (including the famous Majestic Cafe and lots of shopping), has many 5-star ratings and a private bathroom. This Airbnb property in Porto is an absolute steal. You get the entire apartment that can sleep 5 guests for the price of what you’d normally pay for 2 people. The property is right downtown and close to everything you’d need plus metro stops for further exploration. Not quite what you’re looking for? Find more Airbnb options on Airbnb.